Fort Collins Therapist: Hannah Dorsher - Therapist 80525. Send A Message To Hannah. The many demands of today's lifestyle can often make you feel overextended and out-of-control. This constant stress can exacerbate depression, anxiety, anger, addiction, and family/marital problems. Hannah Dorsher is your calm in the eye of the hurricane, offering you a place to slow down, take a breath, and evaluate the state of your current life. What is working? What do you want to change? Here, you can truly analyze what is holding you back, what you love and want to increase in your life, and which direction you want your life to take in the future. When you feel stuck, it may because a certain area of your life is causing distress and taking all of your attention and concentration. In counseling, Hannah will help you calm your thinking so that you can identify this troublesome area and determine how to handle it. She will give you tools and teach you strategies that will help you through this difficult time and continue to serve you and be useful throughout your life. Counseling will allow you to reclaim your sense of self and rediscover satisfaction with your marriage, job, family, and self. Many people are surprised to discover how quickly counseling helps them feel better, perform more productively, experience less stress, and be more fulfilled in life. Hannah uses a combination of innovative techniques combined with time-tested strategies. She is well trained in Cognitive Behavioral Therapy (CBT), EMDR, as well as Adlerian and Gestalt approaches, and the 12-steps and 12-traditions. Hannah will work with you to find clarity, strength, vision, and hope. Hannah's clients consistently appreciate her down-to-earth style, which she combines with a healthy dose of warmth and humor. She is outgoing, open, and honest, making it easy for her clients to feel comfortable and trust her. Her Northern Colorado office is conveniently located and within easy driving distance of many surrounding areas, including Johnstown, Greeley, Fort Collins, Cheyenne, and Berthoud. 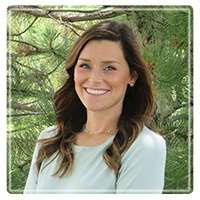 Hannah works with individuals, couples, and families in Northern Colorado who are seeking help with anxiety, depression, addictions, co-dependency, marital counseling, child-parent interactions, anger management, job transitions, divorce recovery, and multiple other issues. Call today to schedule a free consultation at Hannah's Fort Collins counseling office location. She works hard to return your call as soon as possible, and can schedule your initial appointment within 48 hours, and sometimes the same day.